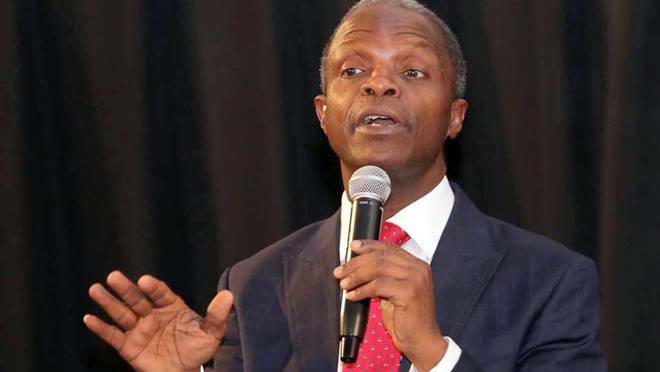 Vice President Yemi Osinbajo has expressed gratitude to Nigerians for showing concern about his safety. following the chopper incident this afternoon in Kabba, Kogi State. The chopper carrying the Vice President had crash landed after a landing incident, but everyone escaped unhurt. Speaking at the Obaro of Kabba’s Palace, his first stop in his ongoing visit to Kogi State, Prof. Osinbajo expressed gratitude to God for the deliverance from the Chopper crash. Prof. Osinbajo is now in Kabba after the incident and continuing his engagements in the State, engaging the people on the Next Level plan of the Buhari administration.